What Experience Level am I? 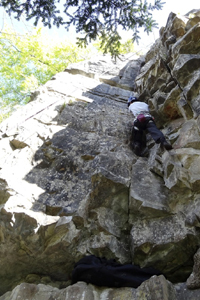 Experience Levels are defined in our Rock climbing Standard Operating Procedure. You should use these as a guide and err on the side of caution if unsure (or out of practice). 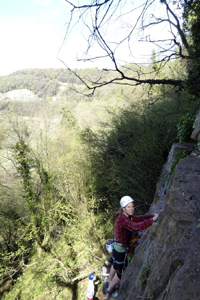 If you’re just starting out with indoor climbing, you can hire a rock climbing harness, shoes, screwgate carabiner and belay device from the climbing centre. If you go often, it will quickly become cheaper to purchase your own. 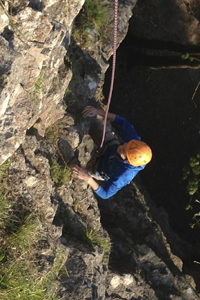 For outdoor trips, it is expected that Novice climbers will have their own rock climbing harness, screwgate carabiner, belay device and shoes - climbs led by a club leader can utillise the club beginners climbing kit. 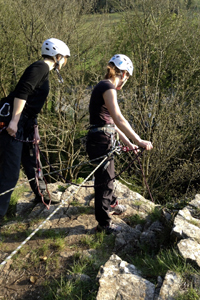 Rock climbing helmets must be worn on all AOAC outdoor trips – a limited number are available for hire from the Club. 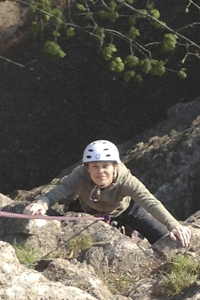 Intermediate climbers are expected to have their own helmet, harness, screwgate carabiners, belay device, sling, shoes, 60m (or longer) dynamic rope and quick draws (or be able to share the last two items with someone). Advanced climbers are expected to have all of the above, and their own trad rack (or be able to share with someone who does). 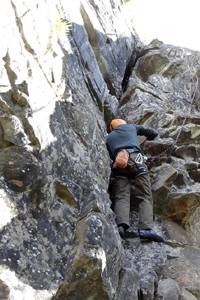 Please read the Rockclimbing Standard Operating Procedures for information on how rock climbing trips are organised, and your personal responsibilities as a trip participant or leader.